I'm a little late with the empties post this month, oops! Here's the lowdown on what I used up and whether I will re-purchase (or if I already have). I've been using this baby shampoo to clean my makeup brushes for ages - for the price you get a great sized bottle. It cleans brushes really well and has that typical baby shampoo smell, which I actually quite like!! Re-purchase? No - only because I am going to use one of my SLS free shampoos instead. I'm getting a bit more fussy about ingredients! At the beginning of April my skin closely resembled a big puddle of oil - much more oily than normal. So I dug out this sample from my stash to see if a targeted moisturiser made a difference and although I was still getting oily patches, it was much less than before. I wasn't overly keen on the formula though - it was quite thin and a little runny. Purchase full size? No - full size (59ml) this costs around £28.00 and I didn't love it enough. Instead I bought a cheaper option from Boots - Una Brenna Super Facialist Tea Flower Mattifying Moisturiser (review to come). I've been using this foundation since November and absolutely love it. It has a nice medium to thick coverage for "uneven skin texture, dark circles and diffused redness yet no mask effect". It is fantastic for covering up spots but is non-comedogenic, so won't cause more breakouts. You can see my full review here. Re-purchase? Yes - I already have! This cleanser is a soap free, foaming gel designed for all skin types. I've been cleansing with it just to get rid of it really, as I've been using it on and off for ages. It's a formula that makes my skin feel fresh and squeaky clean, but doesn't dry it out. Re-purchase? No - I was never in love with this and I've realised it contains SLS, which I'm trying to avoid. 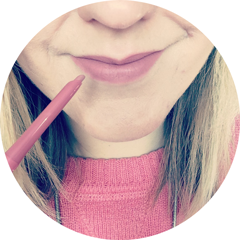 Plus I'm obsessed with Caroline Hiron's blog right now (she is a skincare guru) and she says that foaming cleansers are a big no no for acne prone skin - read more about this here. I actually bought these for 99p when they were on offer in Superdrug, bargain! As mentioned above, my skin has had a super oily stage recently and at one point I was using up to three sheets of these a day! So I've used this pack up a lot quicker than normal. Full review here. Re-purchase? No need - I'm working my way through my 99p stash! For £3.99 you also get a toothbrush with this toothpaste, which is an amazing deal! This is the first time I've tried White Glo and I'm liking it a lot. Apparently it was originally formulated for actors and models! It has a nice thick formula, which lathers up really well and even has a nice taste - completely the opposite of the Arm and Hammer toothpaste I used to use! It hasn't performed any miracles, but my teeth definitely seem less stained/yellow. Re-purchase? Yes - though I'm trying the coffee and tea drinkers version this time to compare. 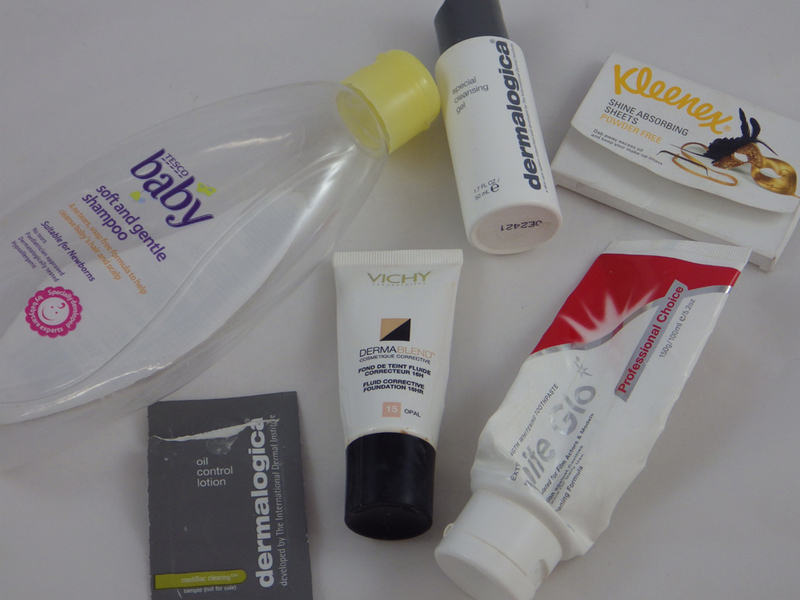 Did you have many product empties in April? Do you use any of the above products? Hi. Lovely post. By the way I love the Kleenex tissues too, did you know they sell them in Home Bragains? And they're only 49!! That's the usual price too.